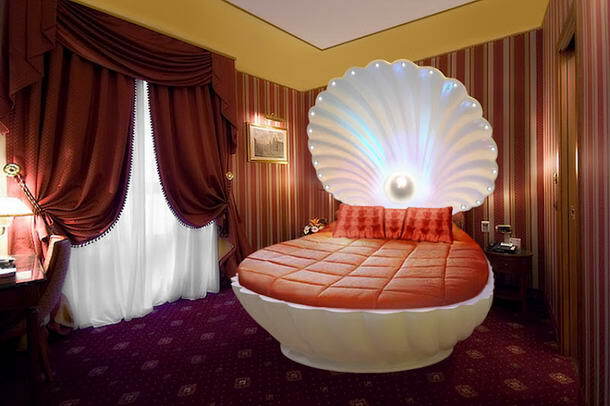 If you’ve ever wanted to look like a mermaid, then the shell bed is the one for you. Looking just like a huge deep sea clam, this is one of the weirdest beds around. Let’s hope it doesn’t close shut on you while you’re sleeping. 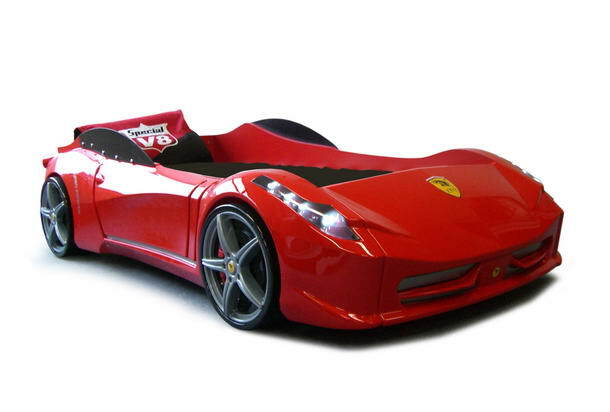 A childhood dream, the racing car bed is just that; a bed that looks as though it could drive on the roads. It’s a shame that they don’t make a full size one for automotive enthusiasts. 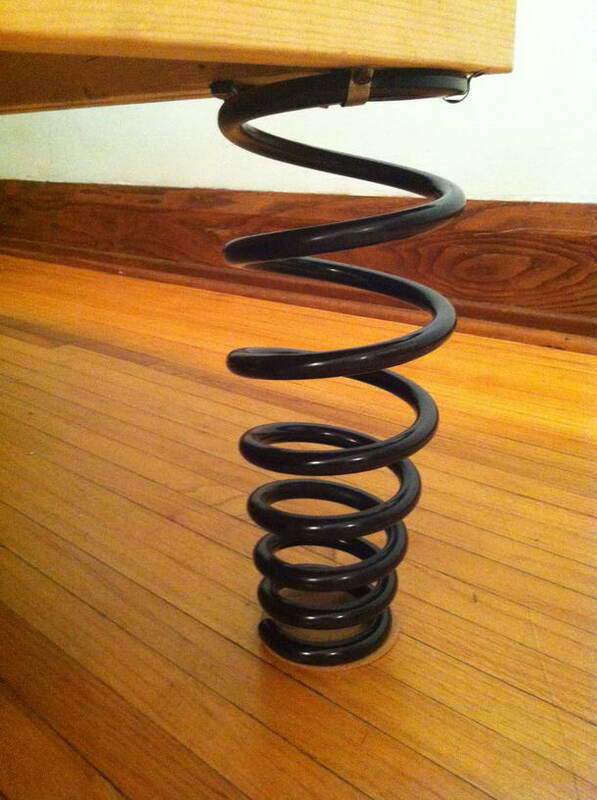 While you fully expect to find springs on the inside of your bed, on the underneath is another matter entirely. This bed, has one huge spring at each corner instead of legs. We’re not sure just how springy they are, but they could well be a lot of fun. 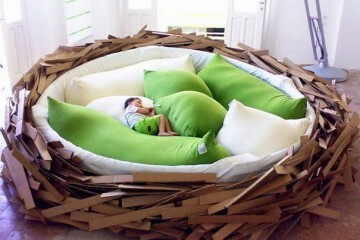 OK, so it doesn’t exactly float, but either way, this is one cool place to sleep. 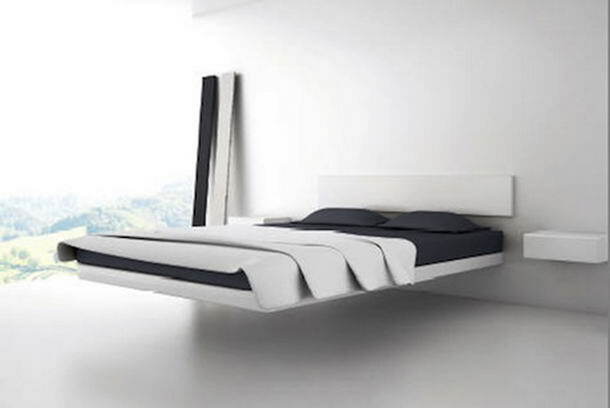 The floating bed is attached to the wall by a bracket, which gives the illusion that it isn’t being held up by anything at all. Four poster beds like the ones you can buy have been around for centuries, but when you see that the posts are actually made to look like trees, you know that’s something new. This would look great if the walls were painted to look like a forest. 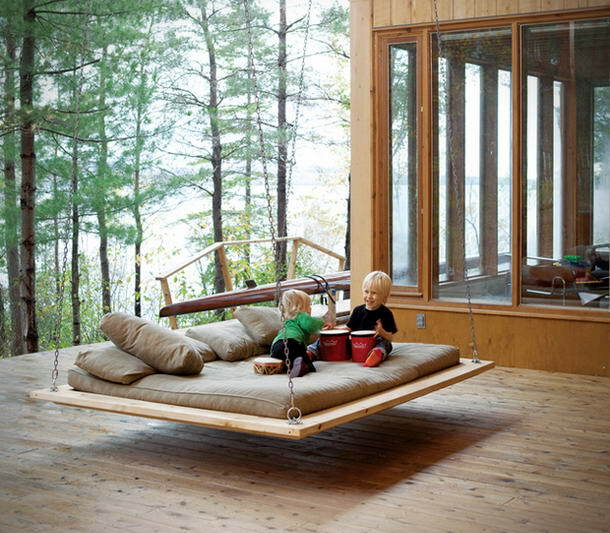 Sort of like a hammock, but with a rigid body, the hanging bed has no legs and dangles from two supports. It’s probably a pain to get in and out of, but gentle swaying may well help you get to sleep. 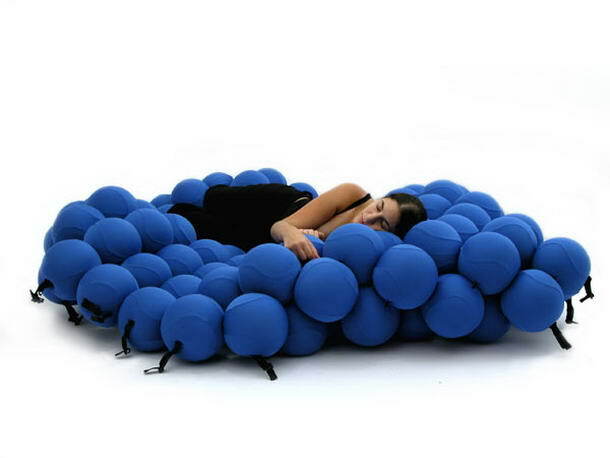 This amazing design consists of lots of elastic balls, which can be moved into all manner of shapes. 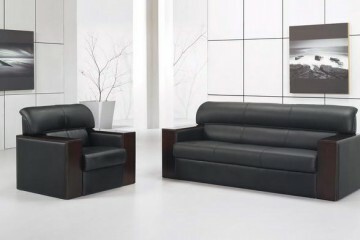 You can change it into a sofa or chair if you want, and we think it looks rather comfortable. 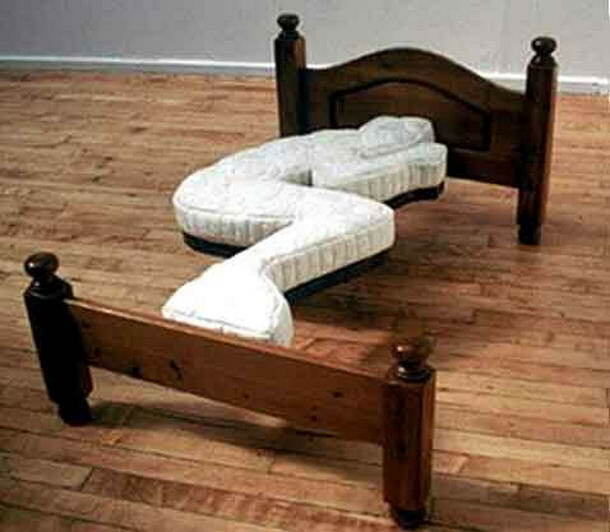 If you move around a lot in your sleep, then this is not the bed for you. With the mattress in the exact shape of a sleeping person, there isn’t a lot of space, but it certainly looks quite interesting. 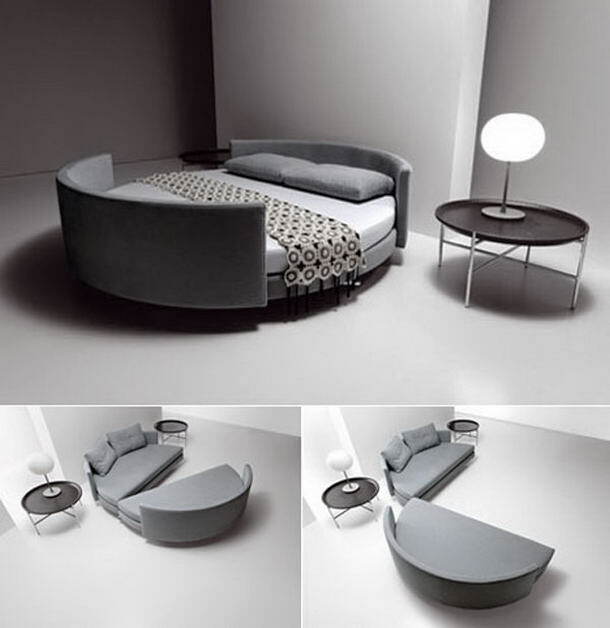 Circular beds are nothing new, but circular beds that can swivel open into two sofas certainly are. This is one of the few beds on this list that actually might be quite practical if you’re in an apartment that’s short on space. 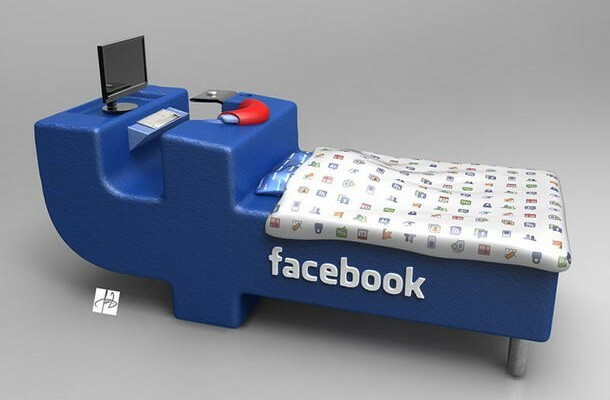 Croatian designer Tomislav Zvonarić of DevianTom has created the FBed concept. 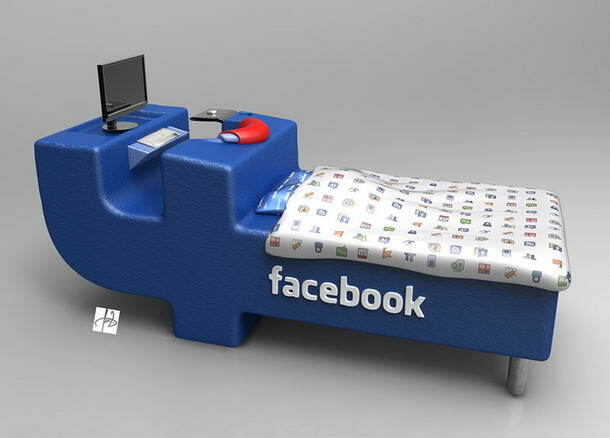 Shaped like the logo of the most popular social network Facebook, the bed allows you to be connected with your friends.